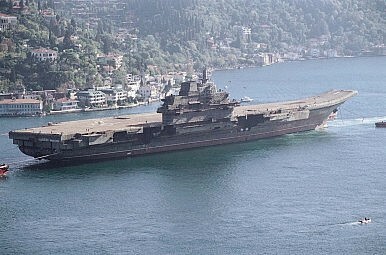 Reports suggest China will have an indigenous carrier battle group within three years. Don’t bet on it. According to a June 5 report in the Strait Times (and a timely tweet by @RobertCObrien) the People’s Republic of China will allegedly add some major firepower to its armed forces. While we have seen many of these reports over the last several years, one thing should seem quite obvious by now — take it with a grain of salt, Flashpoints readers. The People’s Liberation Army Navy, or PLAN, already maintains one refurbished aircraft carrier, the Liaoning, which was commissioned in November 2012 after a multi-year modernization effort. The Liaoning at present has very little military utility, as China has not fully devised a truly capable CBG to defend the vessel. Most experts consider the ship a training vessel to master the complex processes that guide modern carrier aviation and operations. The report lays out some very ambitious plans for China’s supposed new carriers. The challenge with such reports is that they are tough to verify and even harder to make accurate predictions against. When you consider how difficult it was for China to fully develop and put to sea one carrier that was partially completed (yes, it was completely refurbished from top to bottom) it seems quite the challenge to develop a whole new class of carriers so quickly. Could the report be more a wish list than a stated fact? Thinking through the logic it would seem so. While it is very possible Beijing is planning to deploy a total of four carriers — the Liaoning plus three new carriers — the undertaking would be immense. When you also factor in the additional challenge of building, deploying, and testing the necessary vessels and training the needed sailors for three additional new Chinese CBGs, such a goal seems more aspirational than actual fact. Remember, one does not just put a carrier by itself to sea. You must defend such a prized capital ship, keep it fueled (if it is not nuclear) and acquire the skills needed to make it the deadly fighting machine a modern carrier should aspire to be. And, as others have noted, that can take a lot of time and effort. While I remain skeptical about the speed in which China could deploy such expensive and complicated weapons of war, Beijing has demonstrated the capability to surprise western military analysts in the past. China’s efforts to develop anti-access/area-denial technologies, cyber weapons, hypersonic platforms, and various other weapons have clearly demonstrated amazing prowess at pushing beyond standard conventional thinking. My own take: China will have four carriers and accompanying CBG’s at some point, just don’t look for Beijing’s latest flat top on the high seas in three years’ time. Relax, China's Aircraft Carrier Is FineWhy to Ignore China’s Aircraft CarriersChina’s Unmanned Carrier-Based J-20 is a Pipedream (For Now)China’s Navy Aims for TransparencyThe Carrier Dilemma: How Many is Enough?